Mother of two adventurous boys, yarn enthusiast, future banjo player. I love creating unique accessories for others to express themselves with. Hello out there in crochet land! 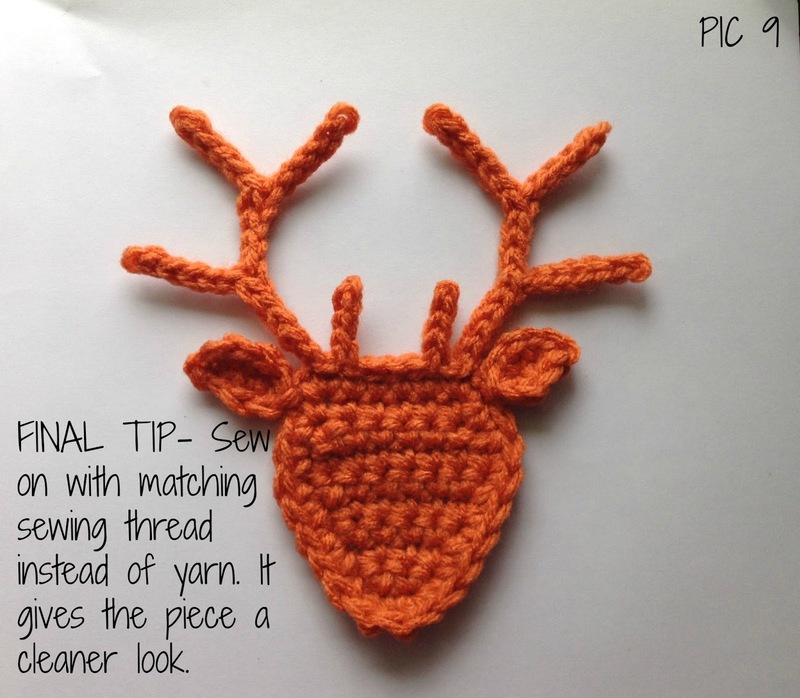 I've revised my Deer Head Applique pattern. I've made a couple of minor changes regarding the spacing of the antlers and ears, and I now have a complete picture tutorial to help you all along. I'm working on putting it all together in a PDF so that you will be able to download it. I'll update you all and include the link for that once it is complete. Please feel free to follow me on Facebook for more updates on patterns that I will continue to post. My Facebook page is HERE. *For the original pattern please go HERE. 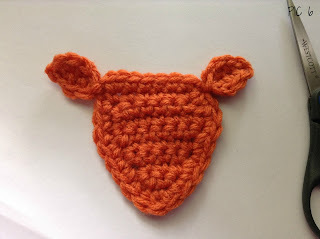 *For the purpose of this tutorial I have used a 5.5mm hook so that the details are more visible. Chain 5. 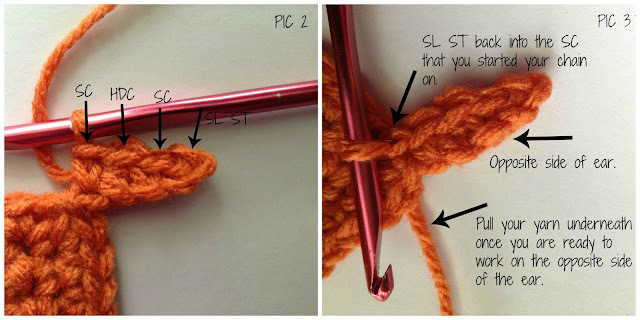 Slip stitch into second chain from hook, SC in next, HDC next, SC next (see PIC 2), slip stitch into the single crochet that your chain started from (see PIC 3). Now, you will be crocheting on the opposite side of the chain. 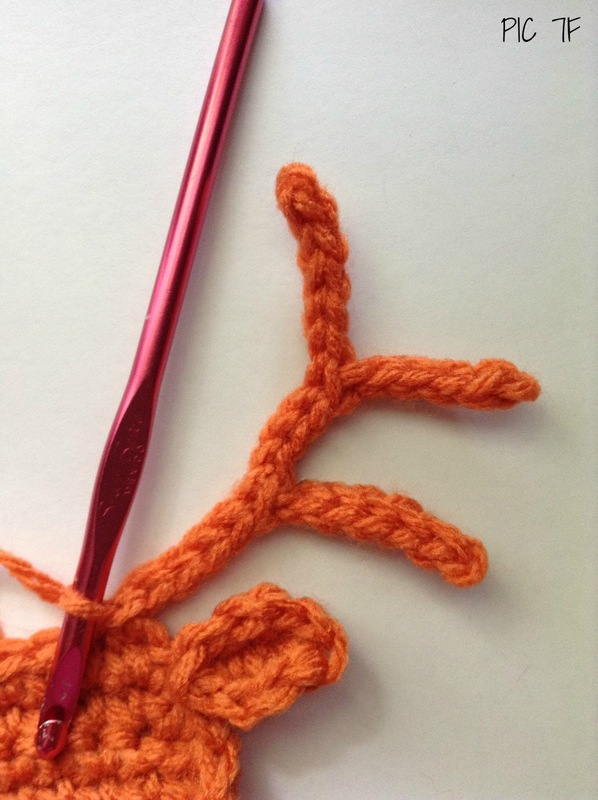 SC in first ch, HDC next, SC next, slip stitch into last stitch. Finish off. Here is what you should have so far. You will start with the right antler and work your way over to the left antler without breaking your yarn until that last antler is finished. Join yarn in the single crochet directly to the left of the right ear. Chain 12 (PIC 7A). 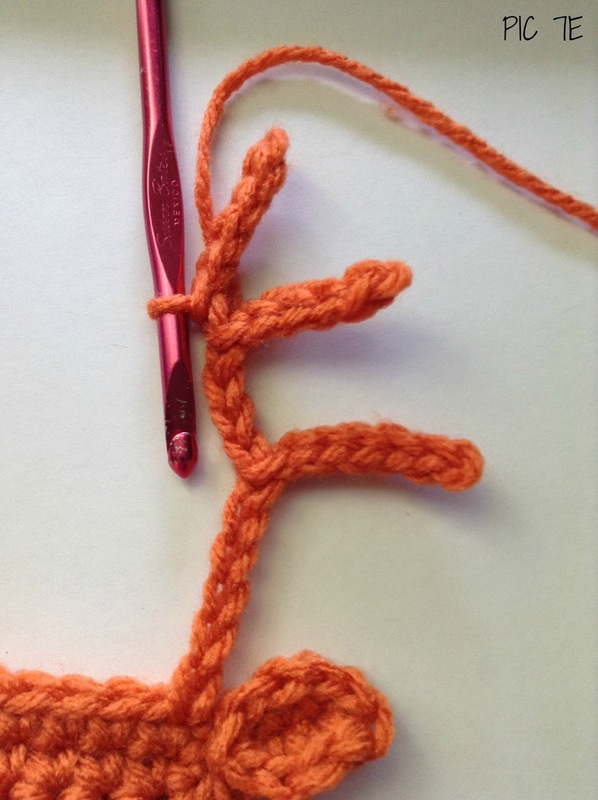 Slip stitch into second chain from hook, then slip stitch into the next 4 chains . Chain 9 (PIC 7B). 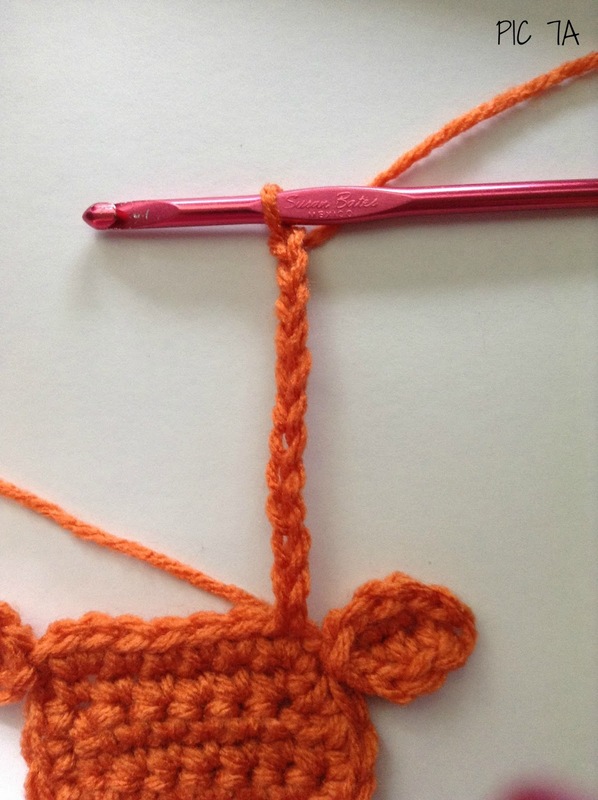 Slip stitch into the second chain from hook, then slip stitch the next 4 chains (PIC 7C). Slip stitch into second chain from hook, then slip stitch the next 4 chains (PIC 7E). Slip stitch the rest of the way down. 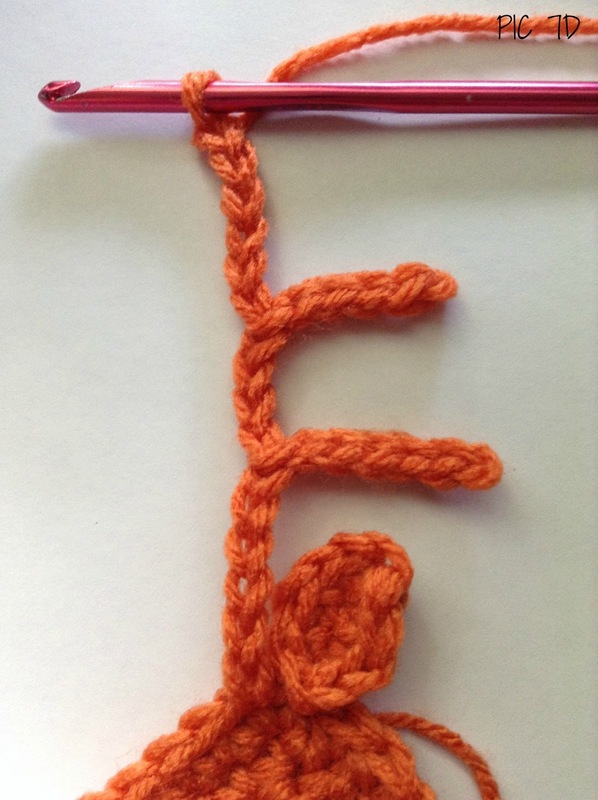 Slip stitch into the SC that your chain started from (PIC 7F). 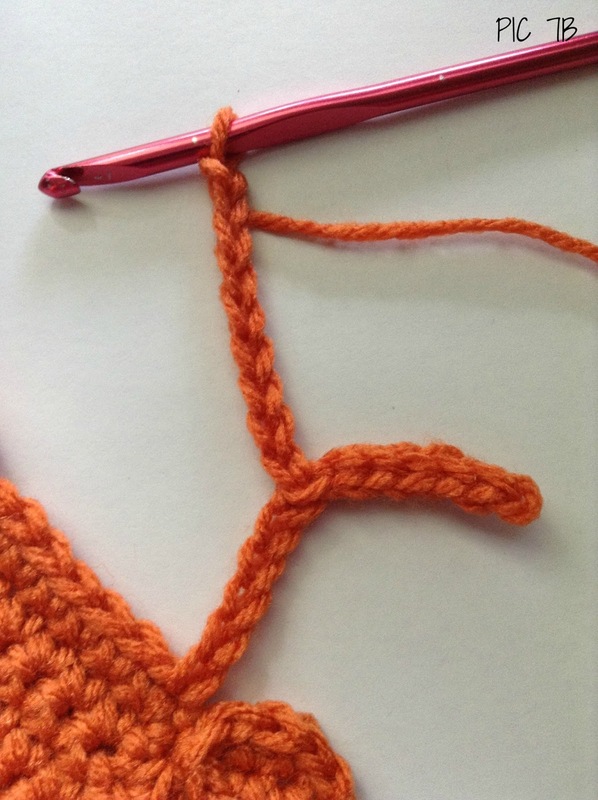 Slip stitch into the next single crochet. 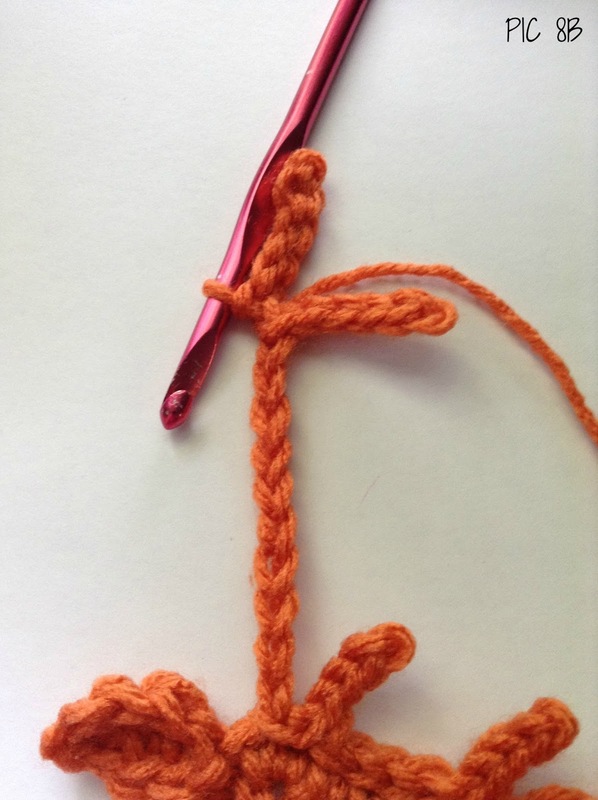 Chain 4, slip stitch into second chain from hook, then slip stitch the next 2 chains, slip stitch into the single crochet your chain started from. 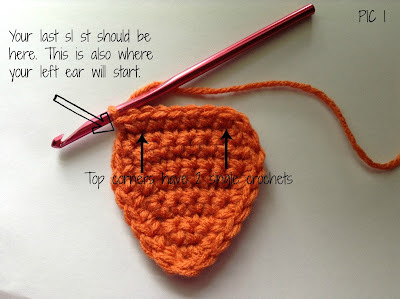 Slip stitch into the next 4 single crochets. 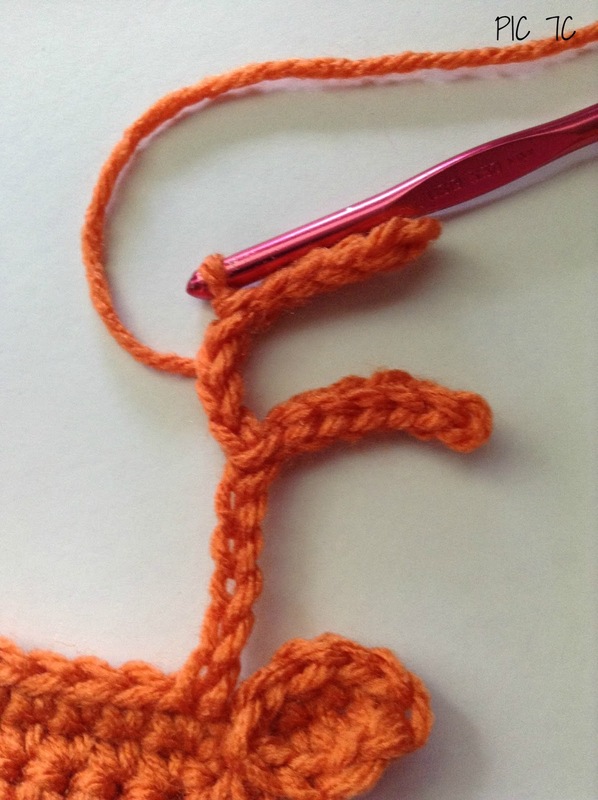 Chain 4, slip stitch into second chain from hook, then slip stitch the next 2 chains. 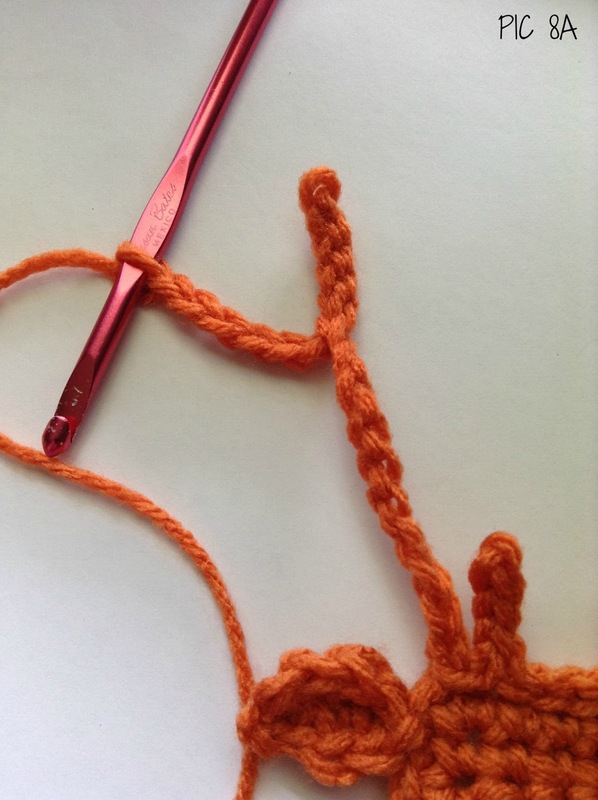 slip stitch into the single crochet your chain started from. 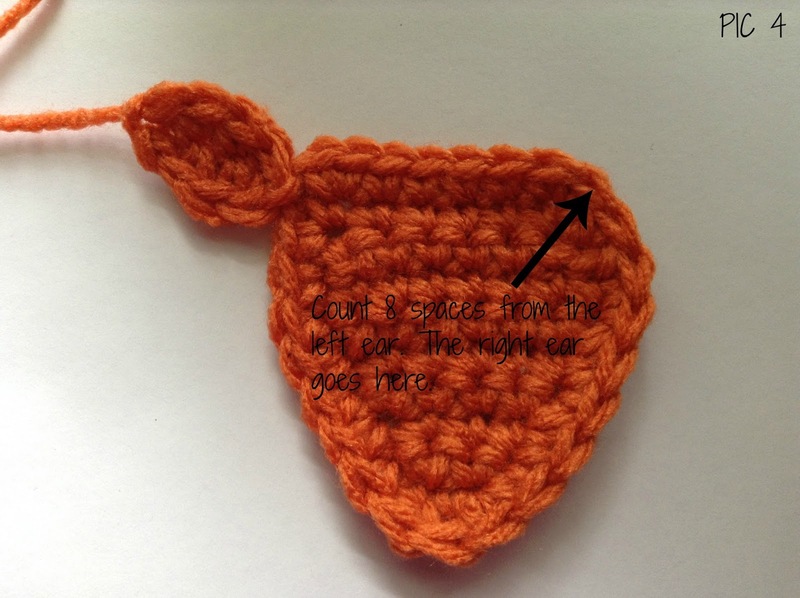 Slip stitch into the next SC. Chain 15. 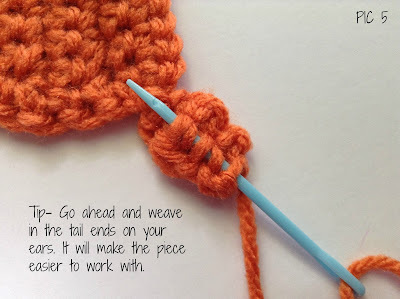 Slip stitch into the second chain from hook. Slip stitch the next 4 chains. Chain 6 (PIC 8A). Slip stitch second chain from hook. Slip stitch the next 4 chains on your chain 6 (PIC 8B). Then slip stitch the next 4 chains. Chain 6 (PIC 8C). Slip stitch second chain from hook, the next 4 chains from your chain 6 and all remaining chains until you are back at your starting SC. 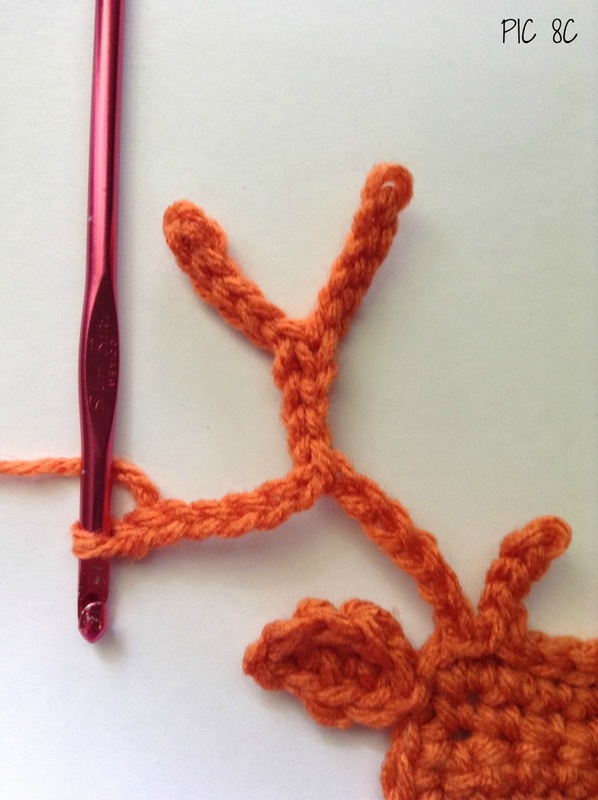 Slip Stitch into your starting SC and finish off (PIC 9). You can leave a long tail for sewing, but I like to sew my appliques on with sewing thread instead of yarn. I think that it looks nicer that way. As always, please feel free to sell anything you make from my patterns. Please do not sell, alter, or distribute my pattern as your own, but feel free to share the link anywhere you like. Please do not use my images. Thank you so much for this pattern! 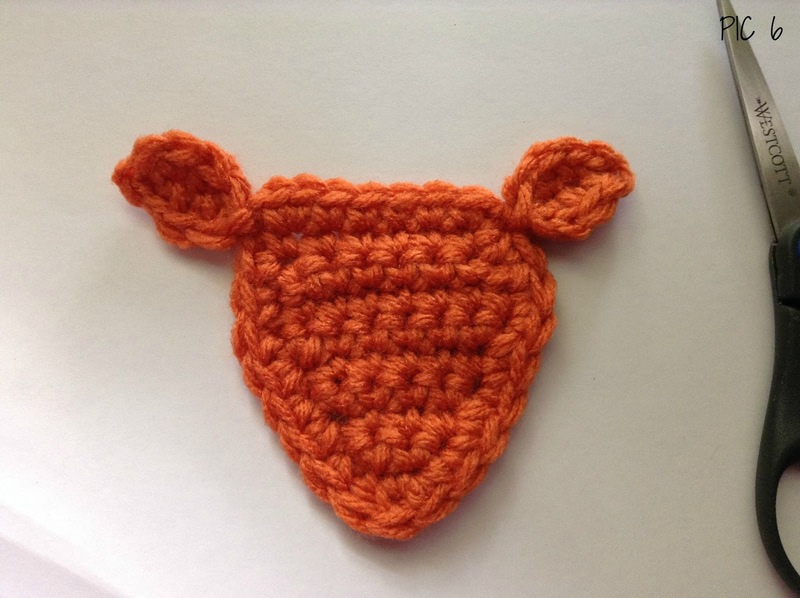 I am making baby hats and have been searching for this particular appliqué. I plan to share your blog link on my page too! This is an amazing pattern. I have so many ideas for it....hats, blankets, putting it on the bum of pants....thank you! Super awesome applique! 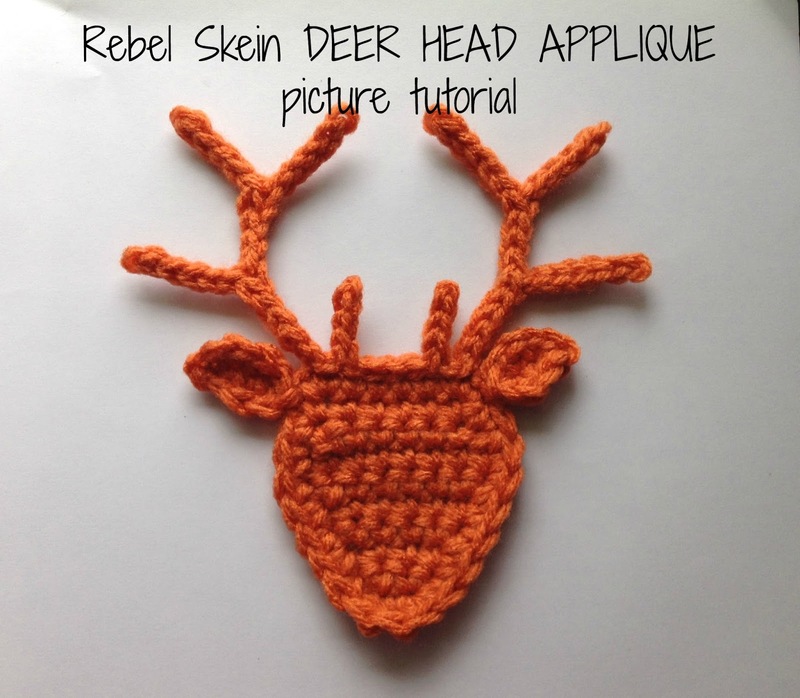 Have you done a video tutorial for this pattern? Your pics are great but I learn better with the videos. This is super super cool! Thanks you so much! Anyway you can make a video of how you do this please? I'm knew and don't understand the instructions on here. Just wondering - do you use US or UK terminology when referring to your stitches?? Good question! It is US terminology. What type yarn are you using?